When do you ship to my zone? 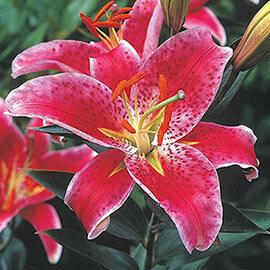 There are as many types of lilies on the market today as there are people who love them. 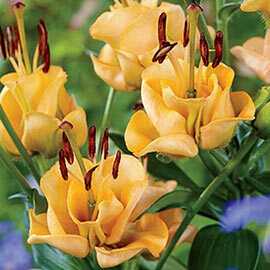 Choosing lily bulbs for sale in spring ensures a summer filled with exotic blooms and hardy plants. They are best viewed in sunny sites like along a pathway or near an entry. 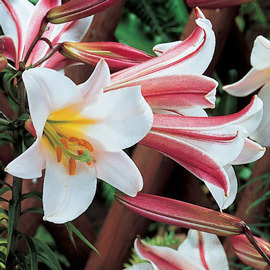 Some lily flowers are fragrant, making them a great cut flower. 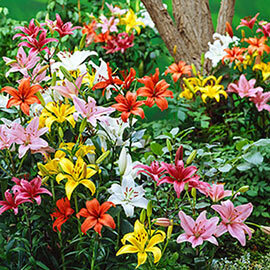 Lily bulbs can be divided or transplanted in the fall after all the blooms are spent and foliage has wilted. 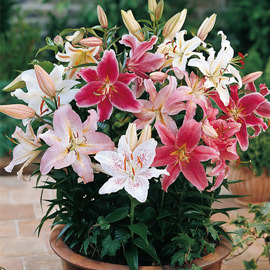 Plant lilies as soon as they arrive. Take care not to break off any stalks or growth that may be on the bulb. Choose a sunny spot, with light, porous, sandy soil enriched with compost. The ideal site is one where the plants get full sun at the tops and are shaded at the soil level to keep the ground moist. 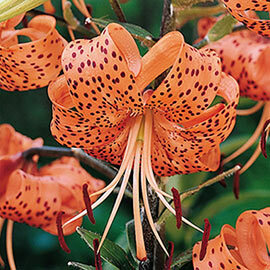 Plant 6-8" deep and 6" apart in clumps of 3 or more bulbs. In the spring, fertilize the bulbs monthly until the plants finish blooming. After flowering, remove only the blooms, NOT the stems or leaves. Allow the foliage to die back naturally. The stalk can be cut back carefully when the foliage has died back completely. 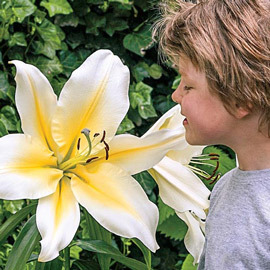 See individual varieties for height and bloom times. Hardy in zones 3-8.